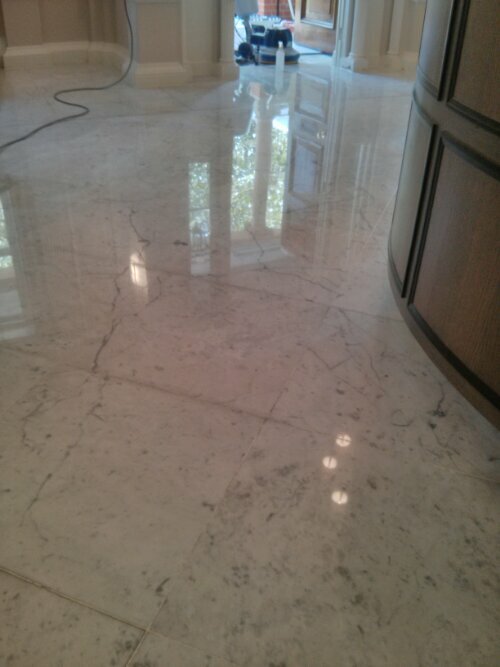 Natural stone - "London's finest cleaning"
Designcare provide a professional cleaning, renovation, and maintenance service for natural stone floors, walls and other surfaces. We use a range of low odour maintenance products, many of these are derived from natural plant extracts. No job is too small and we are delighted to be able to offer regular maintenance contracts. Last modified on 2013-07-20 12:42:45 GMT. 0 comments. Top. The floor was extremely tired, having lost most of its shine due to wear and tear and inadequate maintenance. The floor was honed and polished using diamond abrasives to restore it to its former glory. Last modified on 2012-07-01 22:45:33 GMT. 0 comments. Top. Last modified on 2012-04-01 10:03:47 GMT. 0 comments. Top.